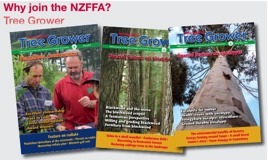 Rob Webster, New Zealand Tree Grower May 2008. A new interim growth model that predicts basal area and mean top height has been developed for coast redwood plantations in New Zealand. The project was initiated by NZ Forestry Limited and has been jointly funded by them and The New Zealand Redwood Company, the New Zealand based subsidiary of the Soper Wheeler Company of California. The model was constructed by Scion using data from stem analysis of trees from eight stands 20 to 30 years old located in various parts of the country. This was supplemented with data from a national series of 32 permanent sample plots, most of which have been established only recently. Data arising from the project has also been used to help develop new tree volume and taper equations for redwood in New Zealand. A previous New Zealand tree volume table had been produced from old trees extracted from the Long Mile stand in Whakarewarewa Forest but was unlikely to be representative of trees of a younger rotation age. Site index for New Zealand redwood is defined as mean top height at breast height age 40 years. A basal area productivity index, the 400 Index, defined as basal area at breast height age 40 years, and a stocking of 400 stems per hectare was developed from the data. The model is similar to the 300 Index model for radiata pine. Basic stand parameters of age, stocking, mean top height and basal area are input to calibrate the model and derive estimates of site index and 400 index. The user can also specify the age at which breast height is achieved, the annual mortality, and a diameter distribution parameter, or simply accept the default values for these parameters. The growth model can be used to evaluate the comparative performance of coast redwood on a wide range of New Zealand sites. This exercise demonstrates that the species has a wider range of site preference that previously speculated. However, coast redwood performs best on soils of moderate to high fertility in areas with reasonable year round rainfall. A significant limiting factor is its intolerance of strong prevailing winds. Despite its common name, coast redwood is not tolerant of salt-laden coastal winds It is however, surprisingly resistant to toppling and breakage from periodic storms. In its natural habitat coast redwood grows from sea level to 900 metres but prefers altitudes less than 750 metres. Its preference is for mild climates, although in many parts of its natural range it experiences winter snow and frosts of up to –10ºC. 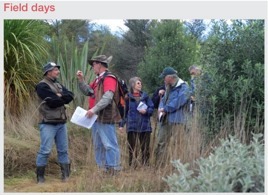 The presence of well performed stands near Winton, Southland, North Canterbury, Hamurana Springs and Waiotapu near Rotorua attest to its ability to do well in some cold sites in New Zealand. However, it is vulnerable to out of season frosts, undoubtedly the reason for the much publicised early establishment failure of several stands in the Central North Island mid last century. Once over-planted with other species, the protected redwood then out-performed the cover crop. It is important to appreciate that the New Zealand Redwood Growth Model has been derived from stands established with bulk, or genetically unimproved, seed. Therefore growth model predictions for stands now being established from select seed, seed orchard material, or varietals will be significantly under-predicted. The table below presents data from a number of sites within New Zealand. The table presents estimated site index and 400 index for each site and growth model predictions at age 35 years for the target final crop stocking specified. The final column presents the predicted rotation age to achieve a mean diameter breast height for the target final crop stocking specified. It is clear from this data that coast redwood is capable of at least matching the performance of radiata pine on many sites. This is particularly true if growth model predictions could factor in the genetic gain available from establishing stands with genetically improved seedlings or clonal material. Warm moist sites, such as on the East Coast of the North Island and coastal Bay of Plenty, display the best growth. However, excellent growth rates are also achieved in the King Country and Inland Taranaki. It is anticipated that coast redwood would also perform well in regions such as parts of Northland, Waikato, Nelson and sheltered sites on the West Coast of the South Island. The outstanding performance of redwood on the East Coast North Island sites is significant, given redwood’s potential to stabilise erosion-prone hill slopes. The Te Wera data is also worth noting in that it is likely to be representative of growth rates achievable on the sedimentary soils of inland Taranaki /Wanganui/ Manawatu, regions that have suffered severe erosion from storm events in recent years. The data from the Lismore stand is likely to be representative of the very light and lower fertility sedimentary soils of the Wanganui foothills. These areas are often exposed to strong coastal winds and seasonal drought and careful site selection would be necessary.